Summer in Panama City Beach is a time to sweep away the cares of the day and join in a celebration of life and great music. The magical "Summer Sounds of Music" include the Pepsi Gulf Coast Jam, concerts at Bessant Park, Groovin&apos; on the Green and Chasin&apos; the Sun. "In Panama City Beach, we pride ourselves on having fun," said Dan Rowe, president and CEO of Visit Panama City Beach. "Last year was a record-breaking year for visitation and we expect even more guests this year." No wonder - More and more top-tier musicians are making Panama City Beach a stop on their schedule. Headliners for the 2015 Pepsi Gulf Coast Jam are Lady Antebellum on Sept. 4, Miranda Lambert on Sept. 5, and Keith Urban on Sept. 6. Also scheduled to appear at the Labor Day weekend festival are rising stars Hunter Hayes and Sam Hunt. Part of the success of the three-day festival is the free shuttle system and the local lodging packages. A number of Panama City Beach resort hotels and condominium groups have teamed with the Gulf Coast Jam to offer lodging packages. The preferred lodging tickets provide access to a special viewing area in front of the Frank Brown Park main stage for the three days of the festival. Gates open at 2 p.m. for each day of music with the show ramping up at 2:30. The lineup performs well into the late-night hours, wrapping up around midnight. The continuous loop shuttle offers regular pick-up and drop-off stops at Pier Park shopping center, several resorts and nightlife venues. The free shuttle makes it easier to ride than to drive to the Pepsi Gulf Coast Jam. Throughout the summer, visitors and locals gather at Aaron Bessant Park for a free summer concert series every Thursday evening from 7 to 9 p.m. The first concert this year is June 11 and the last one is Aug. 13. Live performances in the open-air amphitheater feature up-and-coming entertainers as well as popular local performers. On Monday nights, Groovin&apos; on the Green offers another open-air concert at the Carillon Beach neighborhood. Both events are exceptionally family-friendly entertainment - bring a lawn chair, ice chest, food, and enjoy an evening of classic summer fun. After the official close of the summer season, the Second Annual Chasin&apos; the Sun Music Festival on Sept. 25-26 is bringing in country music legend Alan Jackson to give music fans a chance to extend their personal summer season a little longer. The country music hall-of-famer will perform Sept. 26 at Aaron Bessant Park Amphitheatre, with opening acts including rising star Chris Stapleton, while a more beach music lineup will take the stage on Sept 25 featuring classic beach sounds by hit-makers the Tams ("Be young, be foolish, be happy"), and Pablo Cruise ("Love will find a way"). 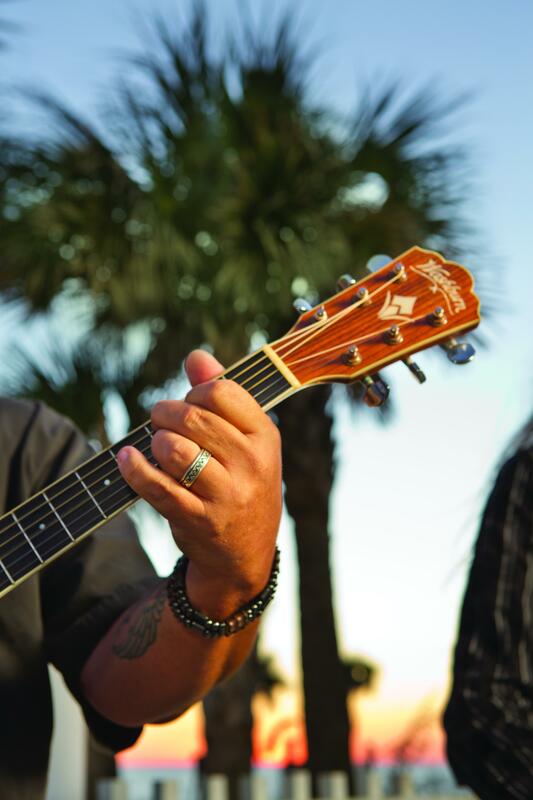 These events are just a sampling of the many great ways to enjoy the sounds of summer in Panama City Beach this year. Check out our events calendar, and don&apos;t miss a minute of the fun!